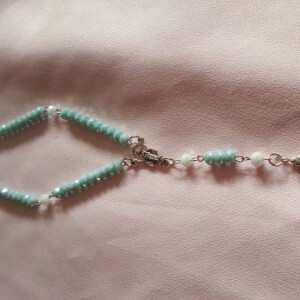 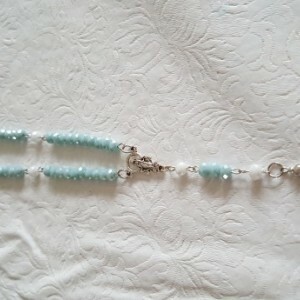 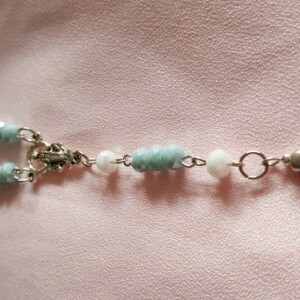 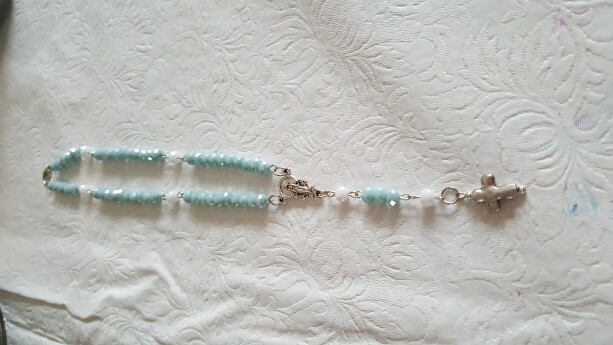 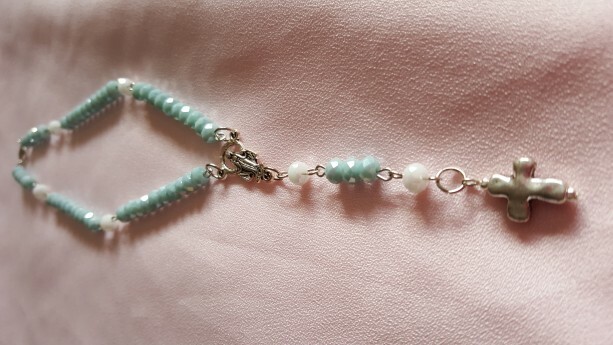 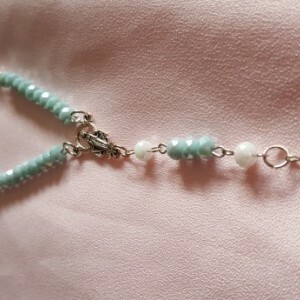 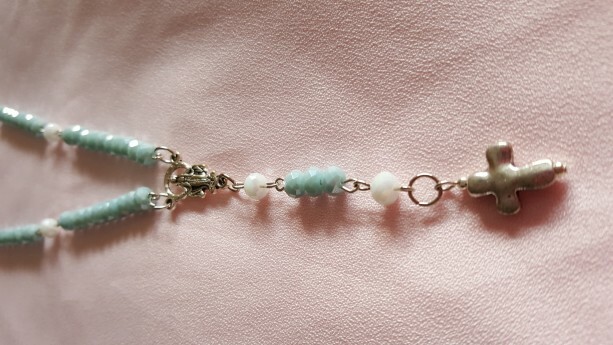 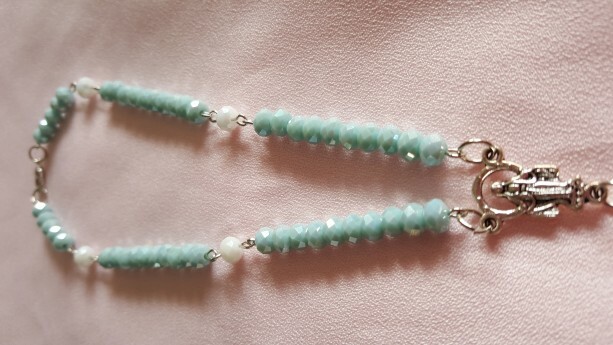 Full Rosary bead set in a blue-gray with white prayer spacer beads. 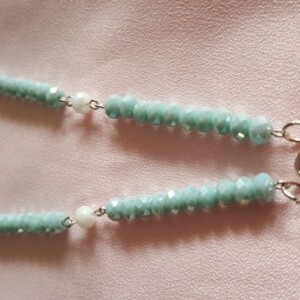 Made with 6mm faceted glass beads These are perfect for the rear view mirror of your car, with a lobster clasp closure. 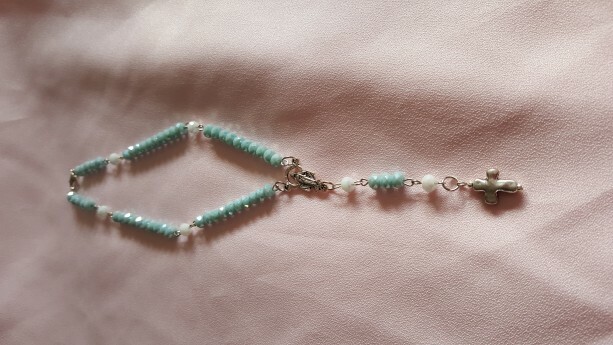 Never be without a rosary set again.